The component that is always highly needed for a sitting set is a central coffee table! 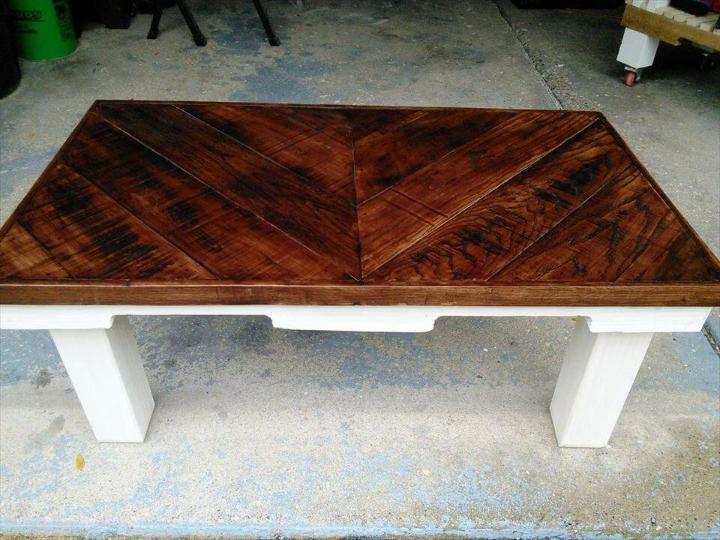 If you are having a coffee table in your furniture need-list then we are going to show you that how you can gain beautiful pallet coffee table for free! Pallets are a big free source of usable wood and the amazing news is that they can beautifully be rebuilt into outstanding wooden tables just like this DIY chevron pallet coffee table, raised on robust wooden legs! 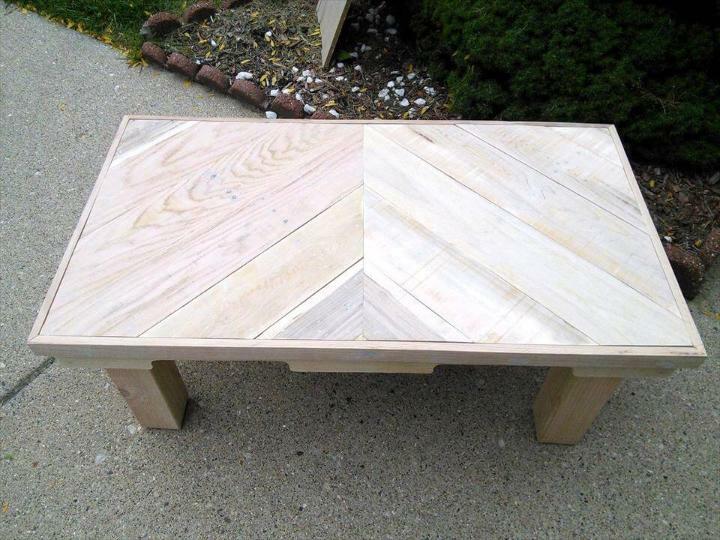 This beautiful wooden coffee table has been achieved by going creative and handmade with slats of pallets, plucked apart through short process! 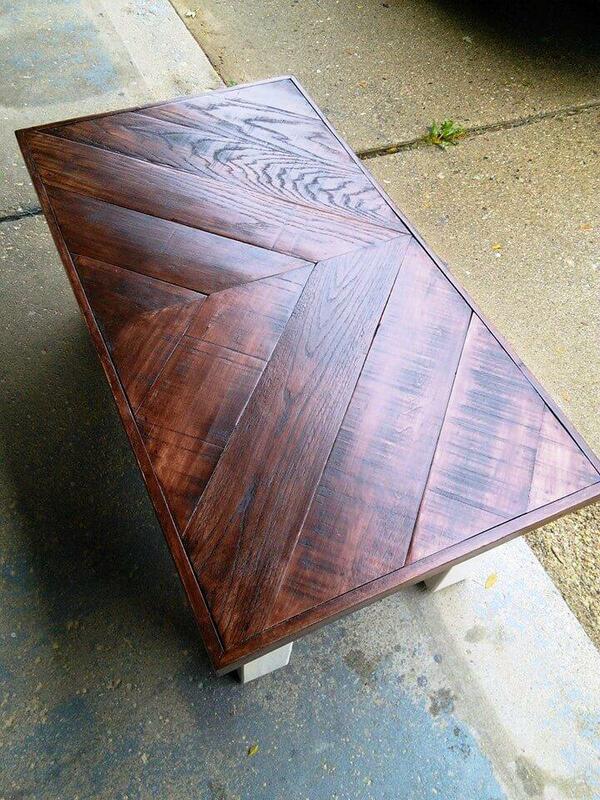 Here filling of pallet slats in chevron pattern is the most amazing part of the construction this brings uniqueness to entire coffee table design! 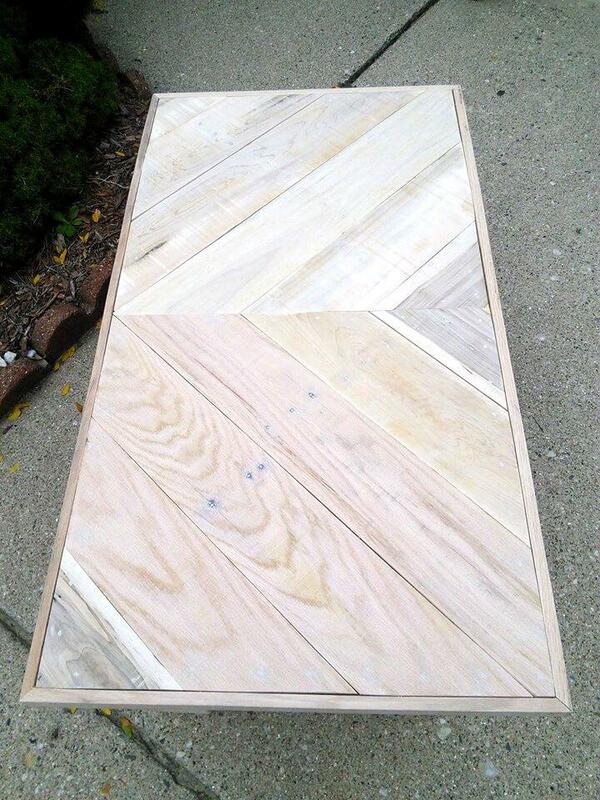 Separated pallet stringer boards have been used as to install the frame of the tabletop! Spice up the wooden visual of the table using paint and one can even go with stain coats to give weather protection to wooden surfaces! Most amazing part of the construction is to install the chevron tabletop, would be all easy if you are having some sharp wooden tools in hands and also a bundle of separated pallet planks! 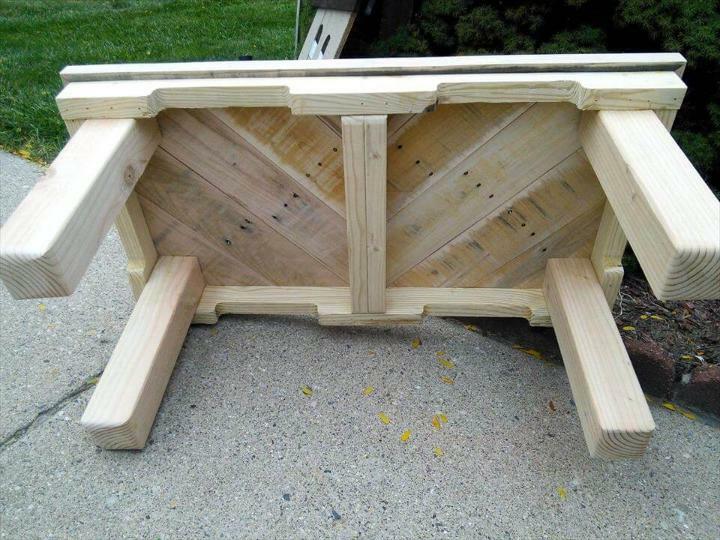 Install a frame for the frame, can be of a hollow rectangular shape then just fill flat the slats of pallets in chevron way to fill the tabletop solid! 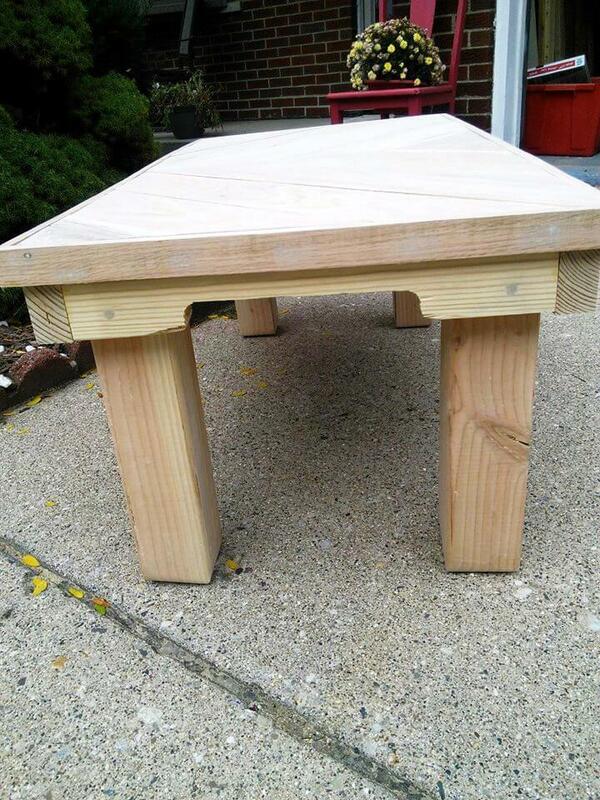 Then you can can just finish the table up by installing the top to already built lower frame! 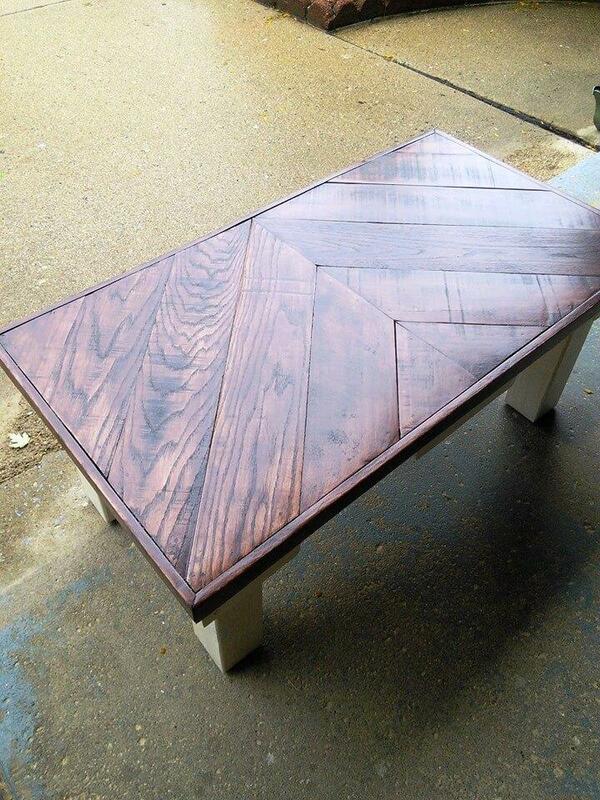 Here all the surfaces of the table have been sanded well for an enchanting spark on the wood grains! 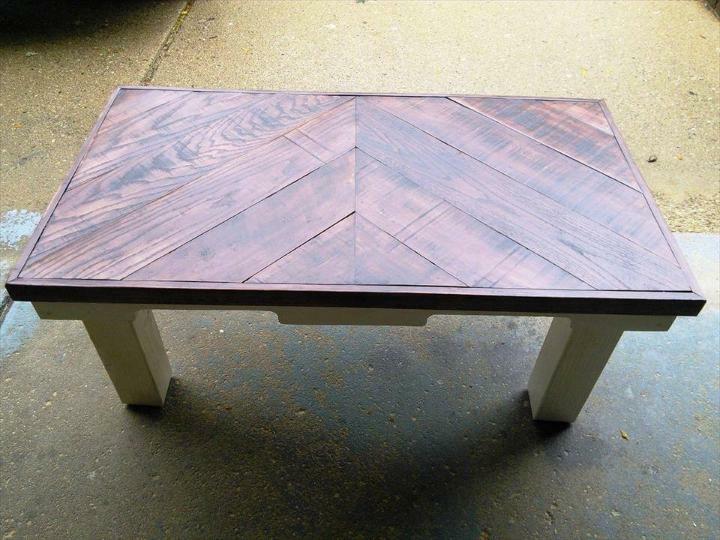 Beautiful coffee table, gained for free, all you need is to get crafty with pallets if you are also intending to have a nice one like this! Here only the top of pallet table has been stained in dark walnut for amazing weather protection! The bottom of the table has been painted white and this creates an amazing milk-choco appeal of the table! You can go with your own custom paint or stain colors, stain is available in the market in tons of different wood shades! 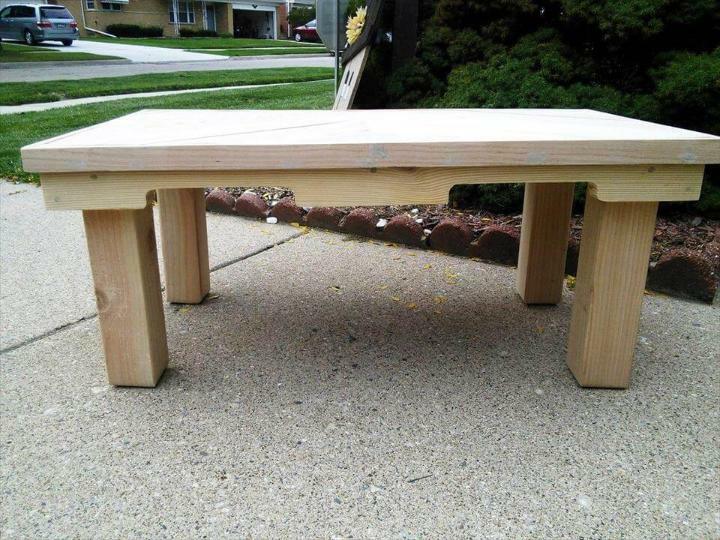 Now table is ready to use and can be added to all from your living room to outdoor sitting plans as a centerpiece!